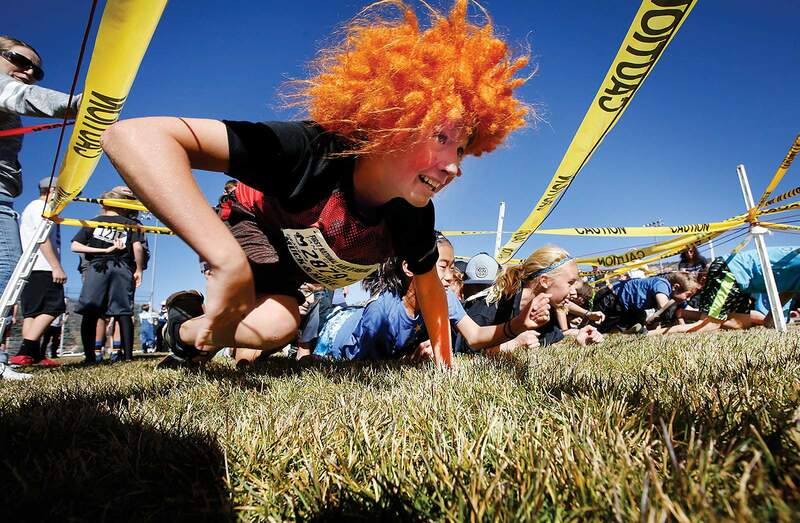 Ian Gaver, 13, a seventh-grader at Mountain Middle School, crawls under an obstacle Friday during the Wolfpack Challenge fundraiser at the La Plata County Fairgrounds. About 180 sixth- to eighth-graders ran as many laps as they could through the obstacle course in 45 minutes. Between the event and sponsorships the school raised $10,508.75. The money will be used for the school’s springtime intersession program. 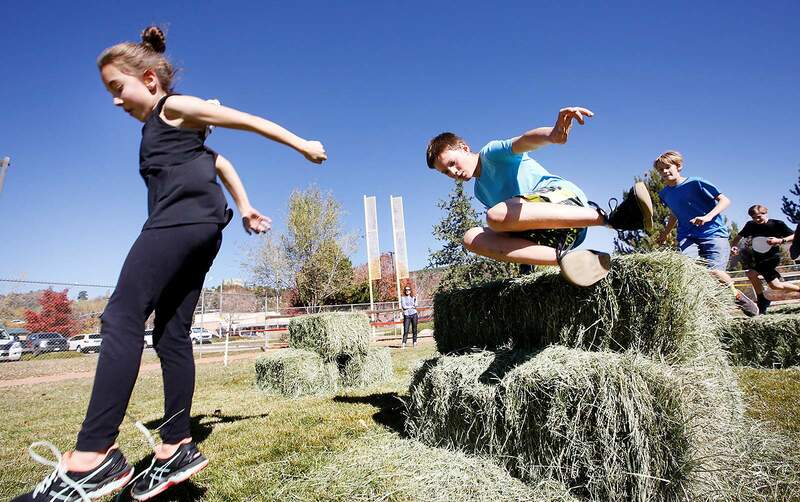 Mountain Middle School students run an obstacle course Friday during the Wolfpack Challenge fundraiser at the La Plata County Fairgrounds. About 180 sixth- to eighth-graders ran as many laps as they could through the obstacle course in 45 minutes. Between the event and sponsorships the school raised $10,508.75. The money will be used for the school’s springtime intersession program. 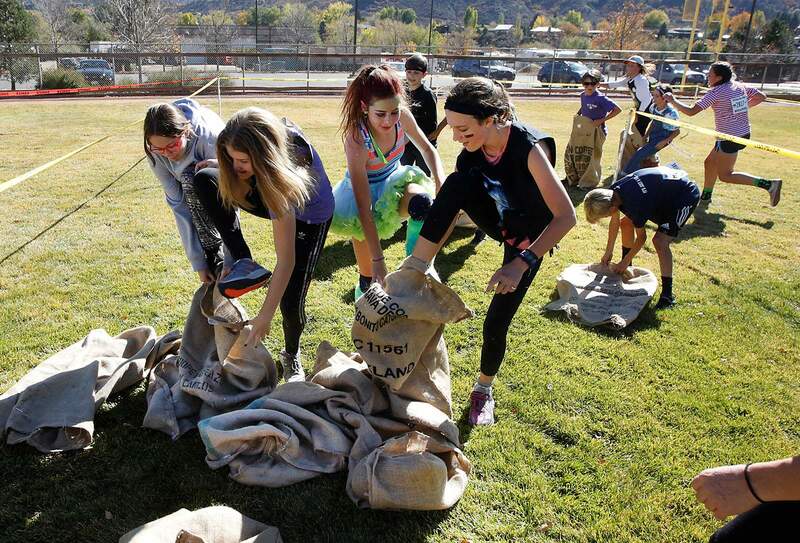 Mountain Middle School make their way through an obstacle course Friday during the Wolfpack Challenge fundraiser at the La Plata County Fairgrounds. About 180 sixth- to eighth-graders ran as many laps as they could through the obstacle course in 45 minutes. Between the event and sponsorships the school raised $10,508.75. The money will be used for the school’s springtime intersession program. 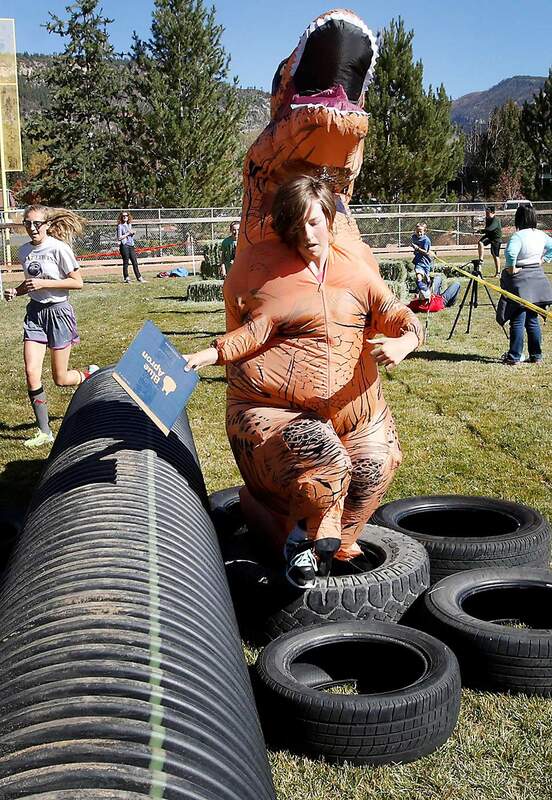 Mountain Middle School student Lyric Kent, 13, tries to get through tires while wearing a Tyrannosaurus costume during the Wolfpack Challenge fundraiser at the La Plata County Fairgrounds. 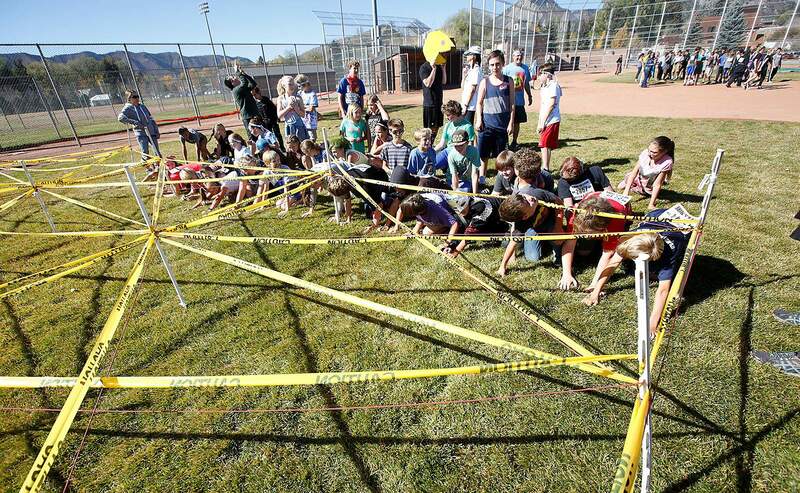 About 180 sixth- to eighth-graders ran as many laps as they could through the obstacle course in 45 minutes. Between the event and sponsorships the school raised $10,508.75. The money will be used for the school’s springtime intersession program.